Hey Coffeeholics! Say goodbye to your ordinary shampoo and say hello to a new kind of hair cleansing product -- the Wen Cleansing Conditioner. Yep, you heard me right. CONDITIONER. With the Wen Cleansing Conditioner, we're gonna skip the shampooing part and just use it. Now in all honesty, I was reaaaally skeptic about this. Coz, I have OILY Hair (gah.. I know right. Not only my face but my hair too!). Its especially oily at the crown area. And based on experience, using conditioner during summer is a bad baaaad idea (oiliness to the highest level). To top it off, its a whole lot worse if I skip the shampoo part and just use conditioner. The best description I have for my hair would be the "basang sisiw" (wet baby chick) look. Haha. But I have heard of cleansing conditioners before but never tried it. After reading the description, I decided to give it a try. Most shampoos have harsh detergents and sodium lauryl/laureth sulfates which make the hair dry, faded, dull, lifeless, and frizzy. Chaz Dean, a celebrity-stylist based in the USA in cooperation with Guthy Renker (makers of Proactiv Solution) worked together to formulate a new concept in hair cleansing, WEN® Cleansing Conditioner. It is a 5-in-1 formula; this one product takes the place of your shampoo, conditioner, deep conditioner, detangler and leave-in conditioner. It cleanses hair thoroughly but without lathering and without all the harsh ingredients that may be found in ordinary shampoos so your hair is left with sheen, moisture, manageability and better color retention. I am quite aware that most shampoos have harsh chemicals and partly I fear that is the reason for some of my falling hair. So indeed I have been on a search for high quality hair cleansers. 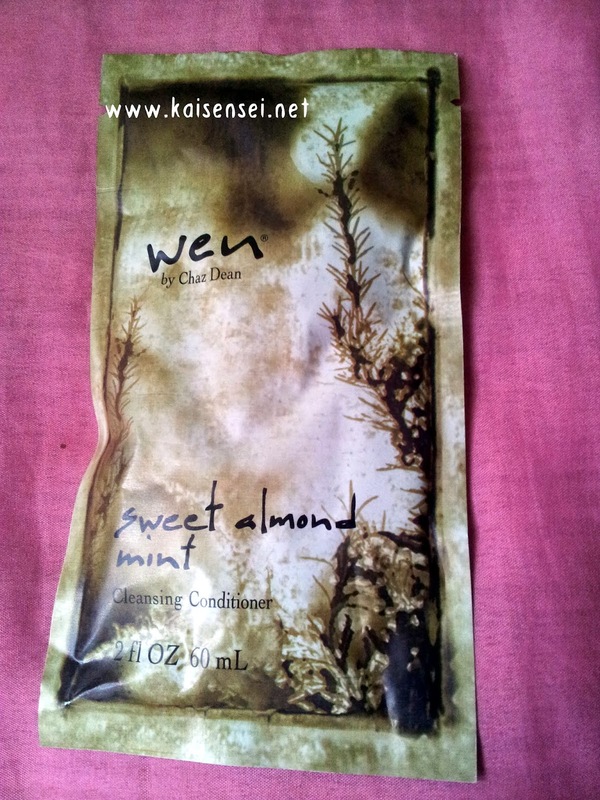 I was surprised and pleased to find out that Wen Cleansing Conditioner works in 5 different capacities. I really really wanted to try and see how it would affect me! So I took a BEFORE shot of my hair before I used the Wen Cleansing Conditioner. *sighs* Yes I know, my hair is sadly very dry, frizzy, and the color quite dull. This is the normal state of my hair. I haven't been using conditioner coz its summer hence the additional dry look. Obviously its been a while since I had my hair colored. So I thought I'd stick with the feeling "ombre" hair. Anyway, so that's the sad state of affair BEFORE using Wen Cleansing Conditioner. Thoroughly wet and rinse my hair with water. 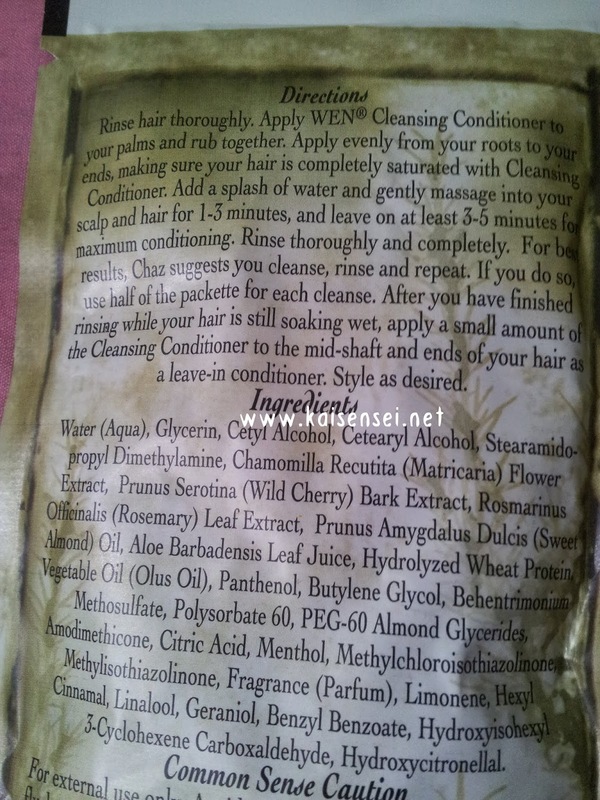 Apply Wen Cleansing Conditioner on the palm of my hand and rub together. Apply evenly from the roots to the ends of the hair, making sure that it is completely saturated with the cleansing conditioner. 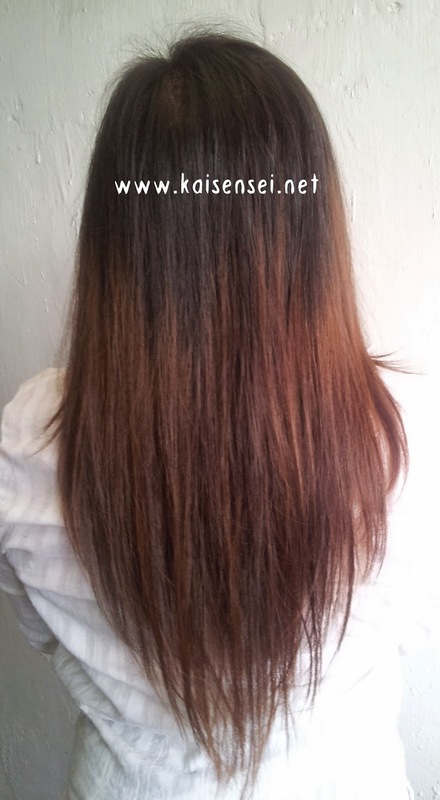 Add a splash of water and gently massage hair for 1-3 minutes. Leave on at least 3-5 minutes for maximum conditioning. Rinse hair thoroughly and completely. For best results, Chaz suggests you cleanse, rinse, and repeat. You can also apply a small amount of the Wen Cleansing Conditioner from mid-shaft to end while hair is still soaking wet. It acts as a leave-on conditioner as you do so. 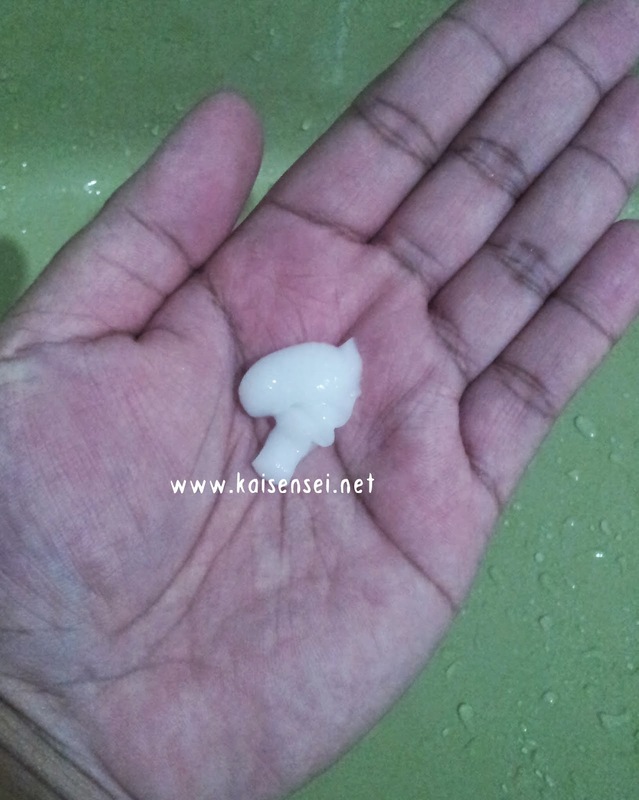 A small amount of Wen Cleansing Conditioner that I used for my hair. The conditioner's consistency is paste-like in texture. It has a nice minty feel and fragrance. 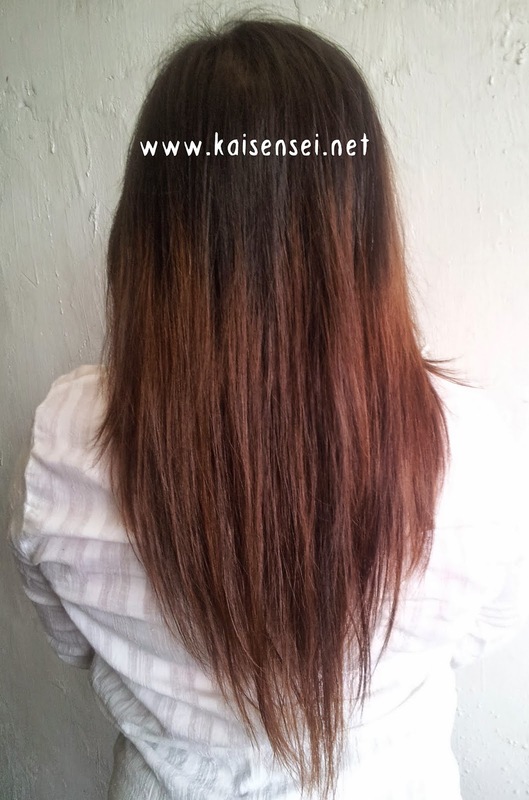 Because I had thin long hair, I only needed to use a little bit more than what is shown on the pic above. Yes, I did the whole palm rubbing procedure. I ran my fingers through my hair and massaged my scalp. I waited it out in the prescribed amount of minutes. A total of 8 minutes before I started rinsing it out. 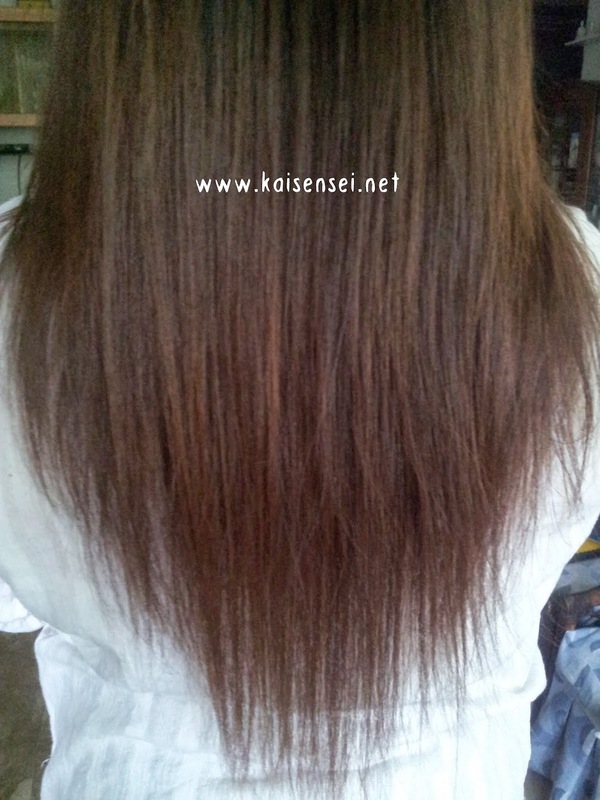 I also made use of the "leave-on" conditioner function of the product. After ONE use of Wen Cleansing Conditioner, I noticed the difference! My hair was more light, airy, and silky. It did NOT feel dry at all! Yes, there was still a bit of frizz but not as horrible before. One other noticeable feature is that my hair looks ALIVE! hehe. Yes, my hair is no longer dull but vivid with color again! Yay! Here's a side by side BEFORE AND AFTER pic. On the LEFT side is the BEFORE pic and on the RIGHT side is the AFTER pic. 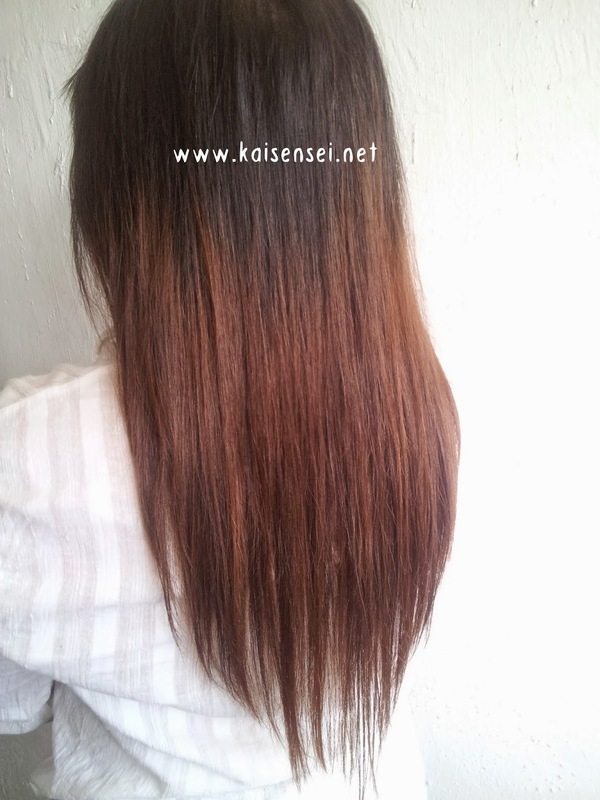 Based on the photos, you can definitely see that the prominent effect after 1 use is the vivid color of your hair. Which is good! 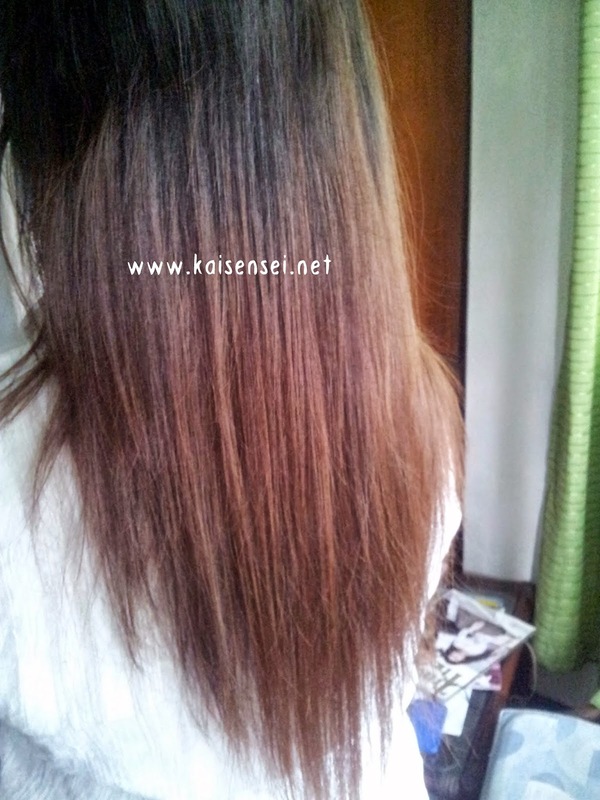 I know that having colored hair is part of the reason of its dryness so having it vivid again is a good sign. Plus it did a good job in cleaning my hair. There was no "sticky" or "oily" feel to it after using. After a few hours after I cleaned my hair, so far so good. The crown of my head was not oily thank goodness. So for me, it does what it claims to do! For me personally, I think after a more regular use at a longer period of time will help you achieve that celebrity hair feel! hehe! Yay! Personally though, I found myself using the product every other day. Aloe Vera Gel: soothing, healing, moisturizing, anti-fungal, antibacterial properties. Glycerin: provides moisturizing benefits is one of the best known humectants and has natural moisturizing factors. Chamomile Extract: calming, soothing, with antibiotic and anti-inflammatory properties. Also used for dry, flaky skin. 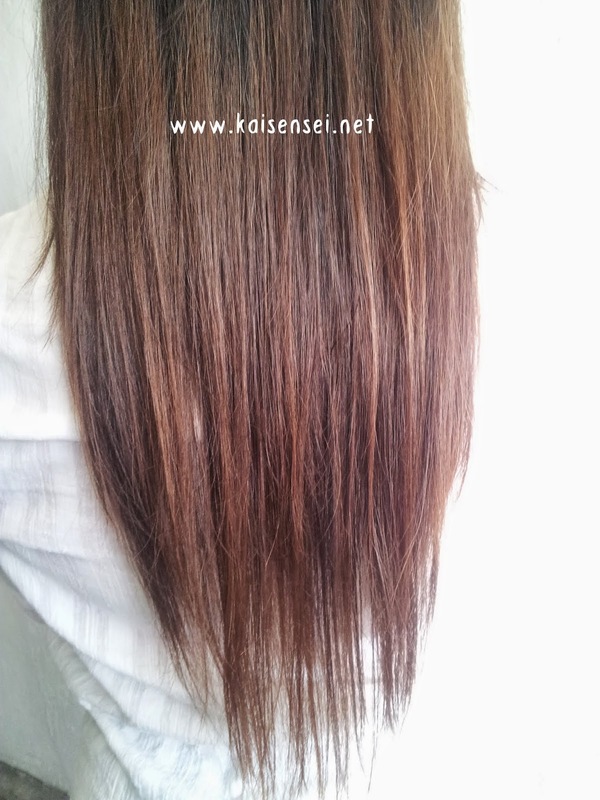 Cherry Bark: brings out the color, shine and softness in all shades of natural and color-treated hair. 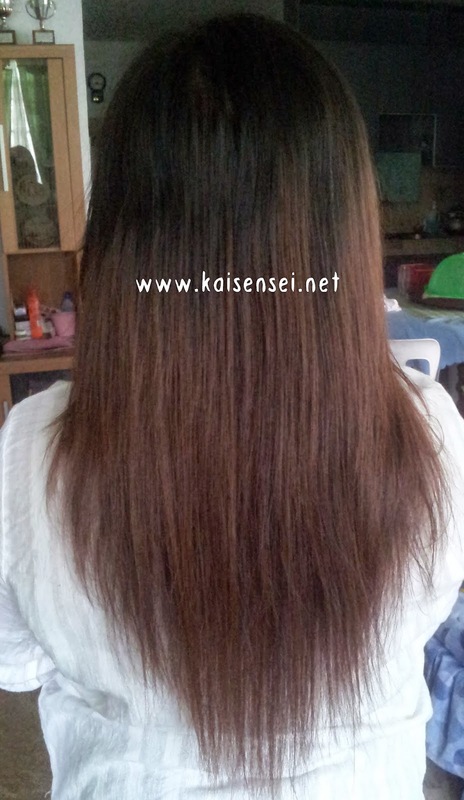 It will help manageability of hair. Calendula Extract: helpful as an antiseptic, healing wounds and reducing inflammation. Rosemary Extract: It stimulates hair growth and fights scalp problems. Helps with premature baldness. Has amazing antioxidant, anti-inflammatory properties. Is a tonic, astringent, restorative herb. Cetyl Alcohol: A fatty, moisturizing alcohol used as an emollient, emulsifier, thickener and carrying agent for other ingredients. Derived naturally from coconut. Panthenol: acts as a penetrating moisturizer. Plumps & moisturizes hair shaft to make it appear thicker, reduces split ends, smoothes skin and strengthens hair as it seals in moisture. PEG-60 Almond Glycerides: with anti-irritant qualities, it contributes conditioning and glide to hair, as well as a conditioned feel to skin. Menthol: has a local anesthetic and counter-irritant quality. Can also reduce itching and tenderness. Sweet Almond Oil: excellent emollient, high in protein and fatty acids, ideal in the treatment of very dry, chapped skin. Having antiseptic properties, it heals and nourishes as it moisturizes the skin & hair without leaving a greasy residue. Pomegranate Extract – Has anti oxidant properties comparable to wine or green tea. It is also incredibly hydrating. 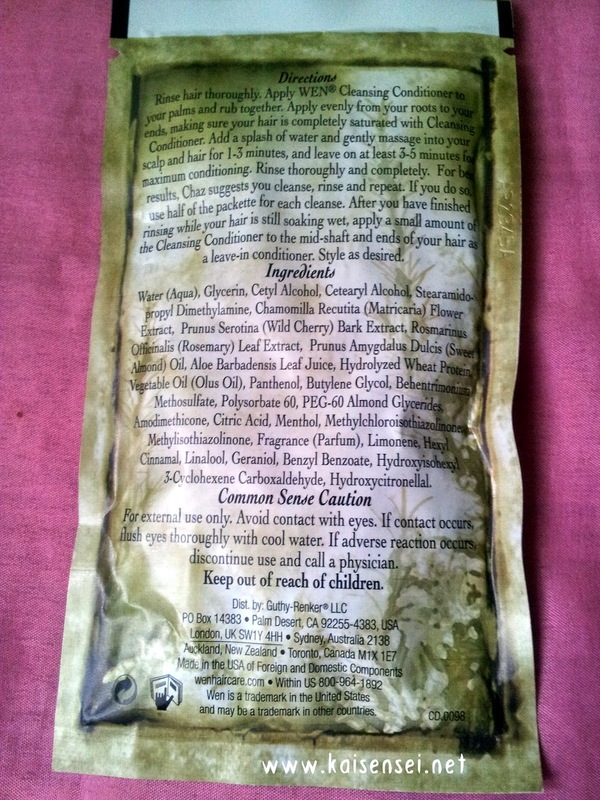 Organic Aloe Vera Leaf Juice: Healing, moisturizing, anti fungal, antibacterial properties. Rosemary Extract: Amazing antioxidant properties, stmulates hair growth and fight scalp problems. Chamomile extract: Calming, soothing with antibiotic and anti inflammatory properties. Also used for dry and flaky skin. Menthol: Has local anesthetic and counter-irritant qualities. Can also reduce itching and tenderness.